WCRXFM’s Matthew Malone speaks with Sid of local psychedelic dub rockers, Loyal Divide, about what to expect on their upcoming album Bodice Ripper, the development of the band and changes between their home in Ohio and here in Chicago. Also, tips for how to balance a life doing what you love in music, while making money with a day-job. You can catch them at the North Coast Music Festival on Sunday the 5th – 12:30pm at Union Park. WCRX Radio has been named a finalist in the Collegiate Broadcasters Inc, National Student Production Awards competition. WCRX has been honored in two categories for Best Newscast, anchored by Wes Adams and for Best Documentary entitled “Near Death Experience” by Wes Adams. First, second and third place awards will be handed out at the National Student Media Convention during the last weekend of October. WCRX 88.1 FM Chicago is Committing to our Community. WCRXFM is teaching our radio students of the power and responsibility of media to support activities that make the Chicago region a better place. Whether through our food drive at our annual holiday live broadcast, Holly Jolly, which collects food for the Greater Chicago Food Depository; our Manifest broadcast which brings attention to Volunteerism and Chicagoans who are giving of their time and resources; or numerous activities like cleaning parks and cutting a ponytail for children in need. 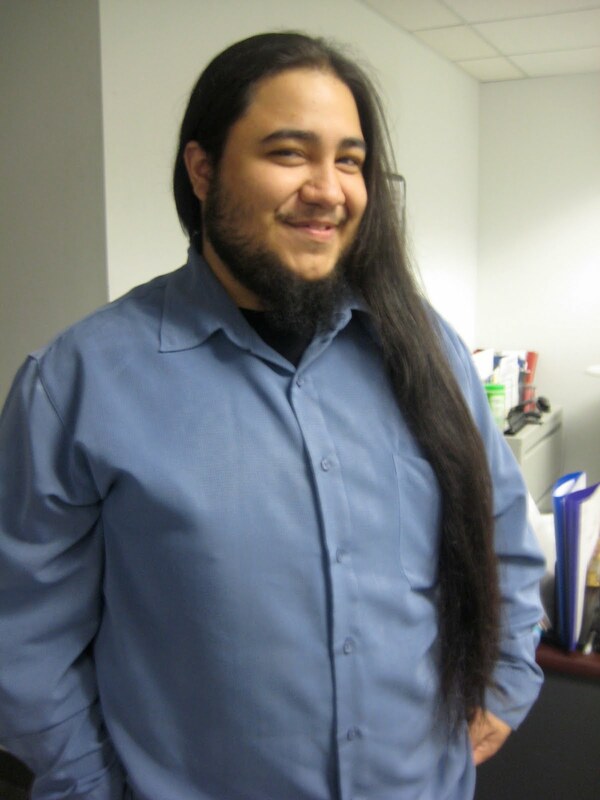 This spring, Luis Gomez cut his luxurious locks off for children in need of hairpieces due to medical hairloss. After 2 years of growing it to 22 inches in length, Luis G cut off his ponytail and donated it to the organization Locks of Love. Their mission is to return a sense of self, confidence and normalcy to children suffering from hair loss by utilizing donated ponytails to provide the highest quality hair prosthetics to financially disadvantaged children. The children receive hair prostheses free of charge or on a sliding scale, based on financial need. Luis G Rocks his Locks from WCRXFM on Vimeo.